Just a minor e-bay shopping for Kose oil absorbing papers. 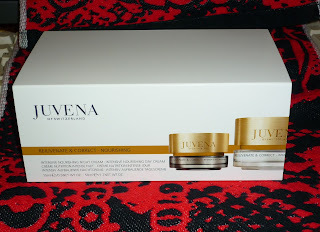 After falling in love with Juvena's On The Move cream I decided to try their other products too, thus I bought a (Christmas) coffret of day and mini night cream of Juvena. All I can say before actually using them is....LOVE the feel of these bushes! Not shown is an Yves Rocher Inositol Végétal eye cream. Have a very successful year of 2011!